There are a lot of ways to join two materials together. Adhesives like glues or cements and fasteners like staples or rivets or screws or nails will create a pretty strong bond. However, when you are trying to join metal parts together, none of the above is likely to work. For a more permanent bond, welding is the answer. The welding process involves pumping gas into the welding torch or gun by an electric power source to create a high heat flame. The flame is applied directly to the base metal pieces to melt them at the edges while a filler wire is fed into the joint or seam to fuse the pieces together. The welder the torch or gun moves down the joint to create a seam. 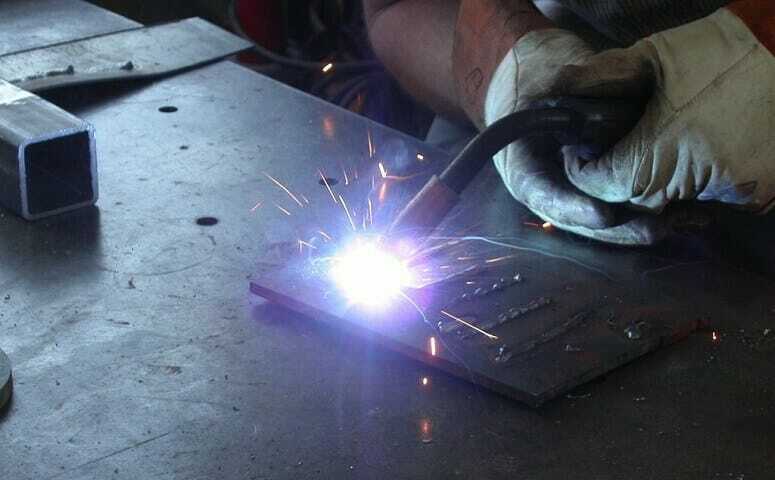 Many people believe welding was a process developed when the industrial revolution came about. In reality, its origins can actually be traced much further back in history. The first recorded evidence of welding or metalworking comes from artifacts from ancient cultures. The ancient Egyptians and the Incas both showing primitive means of joining metals. The methods were rudimentary, consisting of pounding the metal pieces with heavy rocks tied to sticks to act as a hammer. The “hammer” essentially dented the metals together. Softer metals like gold, copper, bronze and silver could be shaped into jewelry, bowls and cups They were utilized more than the heavier metals such as iron. During the Bronze Age from about 2000-3000 BC, the Egyptians discovered that they could use charcoal to produce fire and heat that could turn iron ore into solid metal iron. By 1000 BC, they could make swords, spearheads and large cooking pots. 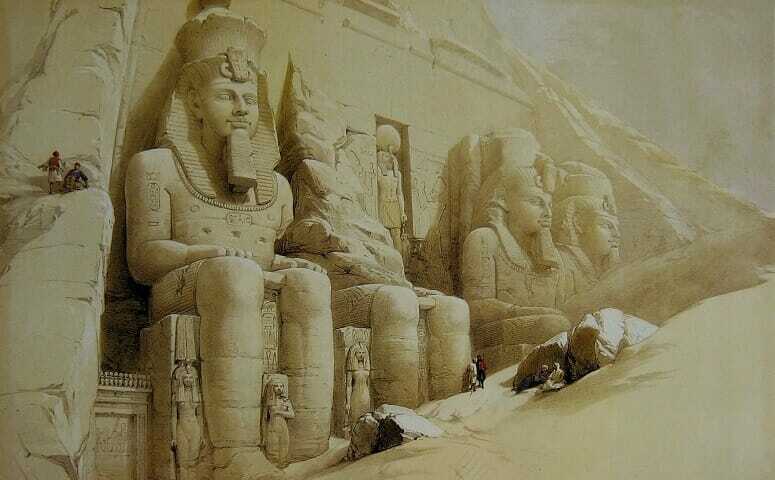 The Egyptians built “furnaces” to melt metals to be used for solder. They then used a blow pipe to “blow” the solder into the metal joints to join the metals together. In the tombs of the pharaohs there are intricately soldered death masks, jewelry, bowls and other creations. In the Sui Dynasty in China (5th-6th centuries BC), a process was developed to turn wrought iron into steel to produce the Samurai swords. By 1375, forge welding had been developed. Blacksmiths were probably the closest thing to a modern welder that existed until the 18th century. The blacksmith used charcoal for fuel in a hand-hewn furnace. The metals that were available at the time had a lot of imperfections and thus required a considerable amount of refining before anything could be done with them. Blacksmiths would heat the iron and hammer out the imperfections on an anvil to improve the quality of the iron and its resistance to separations or disintegration. Then the metal ends were “scarfed”, or tapered, by hammering the metal ends repeatedly until the two pieces were the same thickness. They blacksmith could then “weld” the metal by applying varying levels of heat. He needed to create white hot heat by increasing the charcoal and flame. Then he repeatedly heated the overlapped metal ends and lightly hammering them together in order to join the two pieces of metal together. In 1880, a French scientist named Auguste de Meritens and his student, Nikolai Bernados conducted research using the heat of an arc to join lead metal plates for batteries. They later patented the process for carbon arc welding. Through the remainder of the 1800’s and into the early 1900’s, the carbon arc welding process became a popular method to join metals, especially iron and lead. Gas welding came into use as early as the 1800’s. Edmund Davys, an English chemist, was trying to isolate potassium metal and instead discovered the gas now known as acetylene. He heated potassium carbonate and produced a residue which reacted with water and released acetylene. Later in 1890, C.L. Coffin, an American inventor, patented the first arc welding process using a metal electrode. The metal electrode melted metal and carried it across the arc to deposit it in the joint between 2 metal sheets to make a weld. This process is still used today to place filler metal in a weld joint. Russian born N. G. Slavianoff introduced a similar process transferring metal across the arc but used it to cast metal molds. It wasn’t until the 20th century that gas welding and cutting were perfected. In 1900 a torch powered by acetylene was developed. In the 1920’s, significant research in gas shielding in the arc and weld area led to important breakthroughs. Alexander and Langmuir used two tungsten electrodes to blow hydrogen out of the arc to form a hotter flame to weld metal. In 1926, H. M. Hobart and P.K. Devers did similar work using argon and helium gas to supply the arc. This became the basis of the GMAW welding process. By 1942, Meredith patented the Heliarc welding process, which is what we now know as gas tungsten arc welding (GTAW), also known as TIG welding. GTAW utilizes a tungsten electrode to heat the material to be welding to the melting point, which creates a metal weld puddle. This is a rather slow process and a more detailed sort of welding. It uses an electric torch, and the welder has to use his hand to feed a filler rod right into the molten puddle. 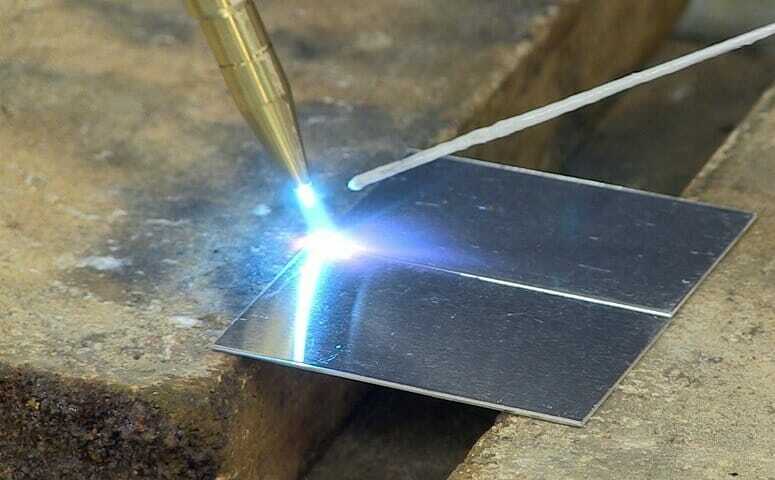 With TIG welding, you can control the pressure of heat that fuels its welding properties. The TIG process uses a non-consumable tungsten electrode that is used to deliver the current to the welding arc. The World Wars brought about the most significant innovations and developments in welding. In Word War I, the need for armaments and transportation by all sides led to the creation of new companies that manufactured welding machines and electrodes. Ship repair and construction also required welding. The creation of larger aircraft that could carry munitions created the need for constructing fuselages. World War II further expanded the use of arc welding. The development of both weapons and means of heavy transportation fueled this growth. The British invention of the jet propulsion engine changed aerodynamic engineering and produced aircraft capable of flying faster and longer. German innovations in the production of tanks produced the “Panzers”, known for their impenetrable armorer shielding and ability to cover rough terrain. Shipbuilding changed for good from wood hulls to all-welded metal hulls in 1940. Ingalls Shipbuilding manufactured the first all-welded ship, the SS Exchequer. The cargo hull’s steel plates were welded end-to-end. Before, riveting was used. The new welding technique changed the shipbuilding industry forever. The Liberty cargo ships also went into mass production. U.S. shipyards cranked out 2,700 of these ships during 4 years. That comes to over 600,000 feet of welding joints. Welding training programs sprouted up. Welding gear was in high demand during WWII. Automatic welding equipment was developed to allow subcontracted manufacturers to produce large quantities of gun carriages, machine guns, ammunition cases. Meredith, employed by Northrop Aircraft, designed GTAW to weld magnesium and stainless steel. GTAW was essential for the manufacture of fighter planes. General Electric developed automatic welding equipment for welding magnesium and other high-strength light alloys in 1943. Aircraft manufacture prompted reliance on aluminum. Manufacturers sought lighter metals to improve the aerodynamic properties of the aircraft. This, of course, would allow them to fly higher and faster. In order to speed the manufacturing process, companies and scientists sought methods of welding that could be used to fuse aluminum and other non-ferrous materials. The gas tungsten process could not be used because of the high cost of inert gases and limited flexibility of position welding. In 1948, Battelle Memorial Institute invented the gas shielded metal arc welding process now known as GMAW or MIG welding. This method allowed the deposition of wire-fed metal into weld joints at faster speeds than traditional welding. The process also allowed the welder to work in a number of different positions such as horizontally and overhead. GMAW uses a wire welding electrode on a spool that is automatically fed onto the two weld piece ends. An arc created by an electrical current between the metal and the wire, shielded by a shielding gas, heats the wire to the melting point. GMAW first became part of the automotive manufacturing process during the 1950’s and has become the primary welding process used in that industry to this day. After the war years, companies returned to the manufacture of goods for consumer and industrial use. During the 1950’s and 1960’s, steel became more widely used for the construction of buildings, bridges and other structures. due to its strength and resistance to corrosion. The cost of gases made GTAW cost prohibitive in the large construction projects. In 1953, Carbon dioxide began to be used in place of inert argon and helium gases, which made GMAW a more economical process. A shorter arc was developed for use in the GMAW process in 1958, which allowed GMAW to be used to weld thinner materials. These developments made GMAW a very versatile and widely-used process and GMAW became the favored process for industrial uses. As manufacturing processes became more automated - first on the assembly line and then in robotic automated processes - GMAW was a more easily adapted welding process than any others in use. GMAW is now the most commonly used process in industry. Russia began experiments in 1956 with welding processes that could more easily be used in high-speed automated processes. Friction welding, which is a process that does not require melting, joins solid materials together through mechanical friction between two work pieces as they are exposed to heat. It is a very precise process but can be used at high speeds economically. It is particularly advantageous in the welding of dissimilar materials. In friction welding, heat must be properly controlled because too high a temperature across the weld joint can result in high stress levels that can cause brittleness and breakage in the joined parts. However, when properly controlled, friction welding is reliable and can produce high-quality welds. More precise and faster methods of welding have been developed during the 21st century. Manufacturers and industrialists continue to look for ways to produce consistent high-quality welds at high speed. The goal is processes with higher productivity that required fewer welding passes. Experimentation with the laser beam during the 1960’s resulted in the development of laser welding. Laser welding requires lower levels of inert gases. It showed three advantages due to its higher temperatures: higher speeds to create the weld; a lower incidence of cracking; and hard, tougher strengths in the weld joints. Laser beam welding is useful for penetrating narrow, deep metal joints. It’s used in robotic automotive and industrial manufacturing. Despite its numerous advantages, laser beam welding has not been widely implemented due to the high equipment costs, the inability of equipment to be transported from one location to another, limited positions of welding and high operating costs. 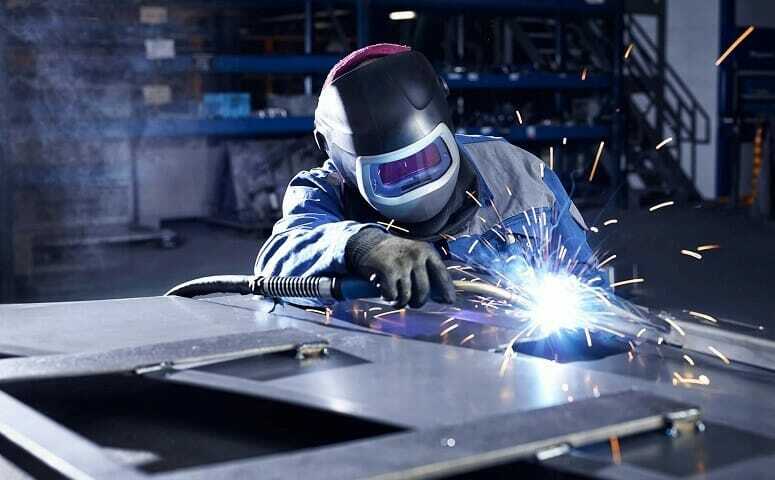 From its origins in ancient Egypt to the modern day, welding has been the primary process used to join two pieces of metal or metal and a dissimilar materials together to produce a strong bond that will not allow those two materials to separate. Welding is now used in many industries for almost every product that involves metal.